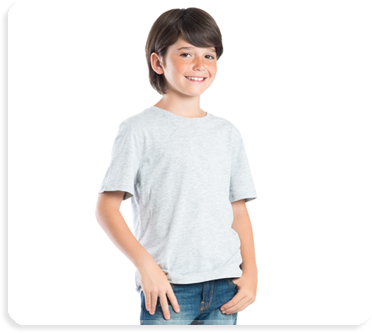 At Kids First Pediatrics, our caring and compassionate doctors and staff are dedicated to ensuring that your child receives exceptional health care and medical attention. 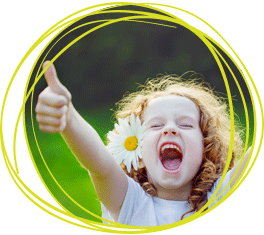 Our services are designed to promote total wellness for your child, from birth until age 21. From immunizations at well child visits while they are infants to sports physicals for college, we care for your child as we care for our own. While a child is experiencing rapid growth during their early years, well child visits (checkups) are necessary so preventative measures can be taken to help ensure your child stays healthy. During a well visit, your child will receive a medical exam to check for developmental milestones as well as their required vaccinations, according to age. Any concerns you have about your child, such as unusual sleep or eating habits, can be addressed at this time. Well visits help foster trusting relationships between doctors and children, and promote healthy development behaviors that are essential, especially for young children. For more information on the well child visit schedule and immunizations, view the well child chart on our patient resources page. A child’s school usually requires sports physicals annually before they are allowed to participate in their chosen sport. They are a great way to ensure your child is experiencing healthy development in areas such as lung development and spinal formation. Sports physicals help to identify conditions such as asthma that may affect your child’s ability to participate in a sport. Medical exams are required for school entry to detect any underlying health conditions that may affect your child’s development. A medical exam is completed to ensure your child is healthy and up to date with their immunizations. It includes a thorough evaluation of the body, including an ear, eye, and oral examination. During your visit, your doctor will talk to you about nutrition and healthy eating for your child. Whether you’re in need of necessary back-to-school vaccines or just keeping your child on the recommended vaccine schedule, we’re always happy to see you and your child. We require our patients follow the immunization schedule set forth by the Centers for Disease Control (CDC) and the American Academy of Pediatrics (AAP). We understand life takes unexpected turns, and there’s seldom a convenient time for children to get sick. We offer same-day sick visits when your child suffers from any childhood illness to get him or her back to wellness as soon as possible. If a doctor’s note for school absence is needed, we will provide the necessary paperwork while you are in our office. Are you seeking compassionate, family-friendly pediatric care? You have discovered the right place, conveniently located right here in your neighborhood. Request an appointment online with one of our board-certified pediatricians in Savannah, Rincon, or Pooler, Georgia today, or call (912) 748-4527.